*Nets are averaging 121 PPG in their last six games. They beat Atlanta 144-127 Sunday. *Must win for the Lakers in order to finish 2-2 on the road trip (currently 7-8 overall on the road). I agree. Maintaining a .500 road record will be important to the team for seeding purposes. Brooklyn is better than people think, particularly if you haven't watched their games. Like our team though, they are inconsistent. They'll have surprising wins and strings of losses. This won't be an easy out. DLO is looking pretty good, Lonzo should be able to keep him in check although this is a road game and Zo hasn't looked his best, far from it, on the road. I'm excited to see Rodions Kurucs though, who has been starting for them and I *think* was someone on our radar with the Bonga pick. If Washington and Orlando were dangerous to us... why wouldn't we be worried about the Nets? Even Atlanta gave us a hard time. We need to win this badly as well as the next two against the Pelicans and Memphis to offset the probable Christmas loss. Yeah. This Nets team is so unpredictable. They have won 5 straight and beaten teams like the 76ers and the Raptors during the streak. Impressive. However, prior to that win streak, they had lost 8 straight including losses to the Cavaliers and Wizards. Yep, like poorer version of us. I didn't realize they had a 5 game winning streak going. Looked it up and they beat the Raptors and Sixers during this span. Now my confidence for this game is gone. Feels like a loss. 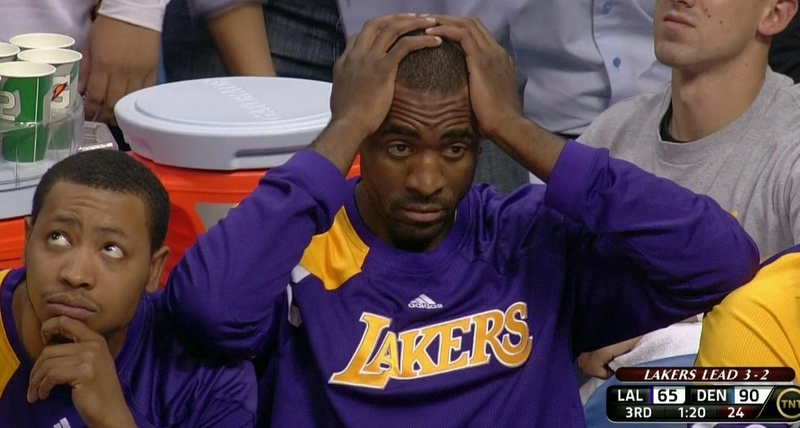 Lakers are on there 3rd game in 4 days. Nets have won 5 in a row. Wizards were on a 4 game losing streak when they beat us, I don’t see the 5 game winning streak being a indicator of us losing even if the Nets won against the top teams. Lakers will be motivated today after the stinker in D.C. It's not an indicator of us losing. It's an indicator that they have been playing well lately. Well of course, no is denying that they are playing solid ball, I had Brooklyn as 1 of the teams that can make the playoffs before LeVert went down with his injury. I know, I was just saying that because no one said their winning streak would indicate that we'd lose but it should put our confidence in check somewhat is all. Predicting an 8 for 23 night from Russell. I like watching Allen play, he is going to be a solid big man in the league. I hope Lonzo dunks on DLO hard. This will make me feel better about the money I wasted on my DLO Lakers jersey. Same here, I’m a big fan of his game, we can get him in a few years once Nets are focused on bigger names. 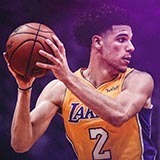 Think Lonzo and DLo feel connected....like it still matters to them, and they want to show out against each other? I know most Lakers fans will always connect them because at least part of the reason one was moved, was to create a spot for the other.....but do they see it that way? If Zo starts off the game with a full court press, then yes. This game feels like it will depend on which Brooklyn team shows up. Sometimes they look pretty good and sometimes they look like a 13-18 team.